We stock the widest range of forks, extensions, access platforms, grabs, skips and mechanical forklift attachments, as well as attachments for lifting barrels, bricks, pipes and other unusual loads. Our forklift attachments are used far and wide, across multiple sectors and throughout numerous organisations, which is testimony to just how extensive our product range is. Plus, there’s our bespoke forklift attachment skills too. While we may stock a huge selection of standard equipment, a large part of what we do involves creating and manufacturing bespoke attachments. These products are tailored to our customers’ specific requirements. 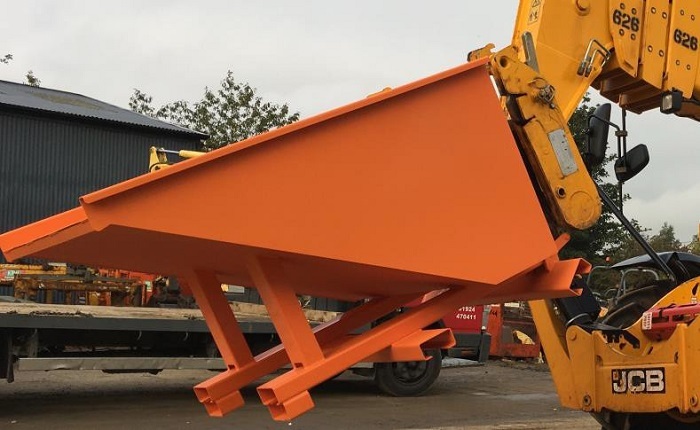 Our Auto-Lok Tipping Skip has been designed to reduce risk and increase efficiency during the emptying process. Drive the forks into the pockets and the automatic mechanism locks itself to the forks of the telehandler when elevated. With this attachment in place, there’s no need for the forklift driver to get out of his cab, which helps keep any potential risks to a minimum. It can also speed up the whole skip-emptying process too. Use our fork mounted magnet to keep factory floors, car parks and yards free of unwanted steel debris quickly and effectively. This attachment can be fitted to forklifts and fork-mounted sweepers and easily clears away any steel debris that may pose a hazard to pneumatic tyre and operatives. This was a particular problem that one of our customers approached us with, which we know is also experienced by plenty of other organisations too. At the time of contacting us, our customer, who is renowned for its high working standards, was looking to find a way to move large volumes of sheetboards without getting them damaged. We introduced them to our load protection shock absorbers, which are designed to cushion the impact of loads as they come into contact with fork uprights. 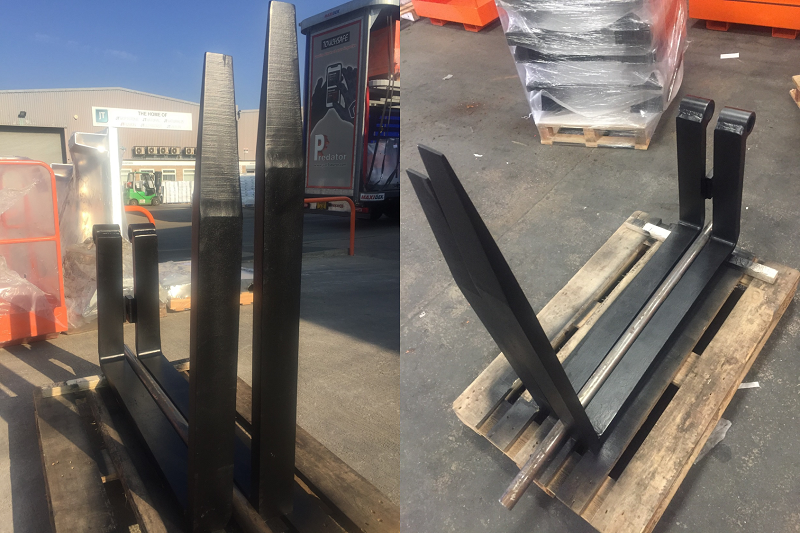 Another one of our customers recently came to us because they wanted to save time and make the process of loading their JCB-mounted forks much more streamlined. It can be really difficult to keep unstable loads steady when they’re being moved around. This is mainly due to the fact that standard forks allow loads to swing laterally when they’re fitted with standard top and bottom hangers. Another one of our customers came to us with this problem, so we tapped into our bespoke expertise again. We manufactured a pair of forks that include a wide top hanger. 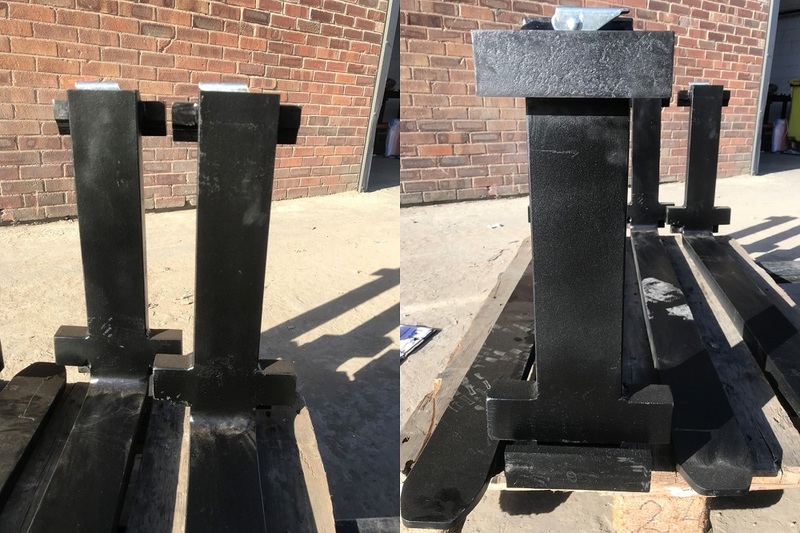 We also welded a block to the edge of the forks that runs along the bottom carriage rail, which helps reduce the fork swing when transporting wide loads. Our range of forklift attachments are designed to overcome most problems and if our standard products can’t, then we can manufacture bespoke attachments that can. Have you got a challenge you’d like us to help you solve? Contact us on 0113 277 1222 or sales@invicta-attachments.co.uk.